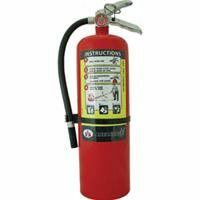 Shop Now - Alert Fire Protection, Inc.
Save lives by extinguishing fire in an instant with our 10-pound ABC dry chemical multipurpose fire extinguisher. With its rechargeable dry chemicals, it can put out any kind of fire. The design uses the same standard features: pin, lever, and hose. Its industrial-grade container is easily storable, and comes with a wall hanger. This extinguisher meets all your state's fire code restrictions. 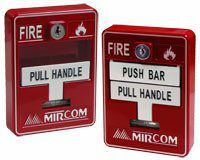 You can use it at homes, schools, offices, and vehicles in the case of a fire emergency. 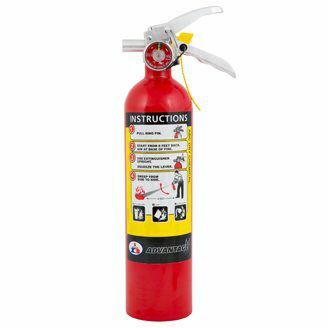 This ABC dry chemical fire extinguisher weighs five pounds, which makes it easy to use. It uses rechargeable dry chemicals that are appropriate to extinguish any kind of fire. Just like other extinguishers, it features a pin, a lever, and a hose. This industrial-grade container is easily storable and it comes with a wall hanger. 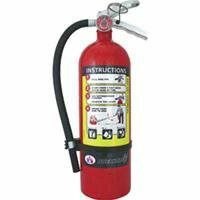 Whether at home, school, office, or vehicle, this fire extinguisher meets all your state's fire code restrictions. 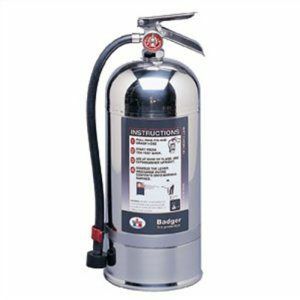 This extinguisher features heavy duty chrome plated brass vales with a full stainless steel cylinder, base, handle, lever and hose band. UL Listed and meets D.O.T requirements. 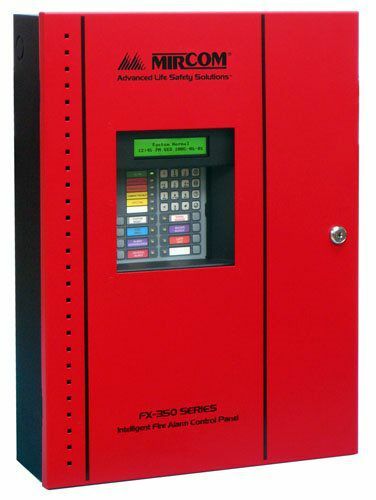 Mircom’s FX-3500 Series systems are powerful Intelligent Fire / Agent Release Control Units that are UL/ULC listedfor fire alarm services, including releasing service. The FX-3500 Series provides up to three intelligent Data Communication Links (DCLs) / Signaling Line Circuits (SLCs) that support a new AP protocol, which is faster and has capacity for up to 954 intelligent devices. In addition, the FX-3500 Series has backward compatibility support for CLIP devices. 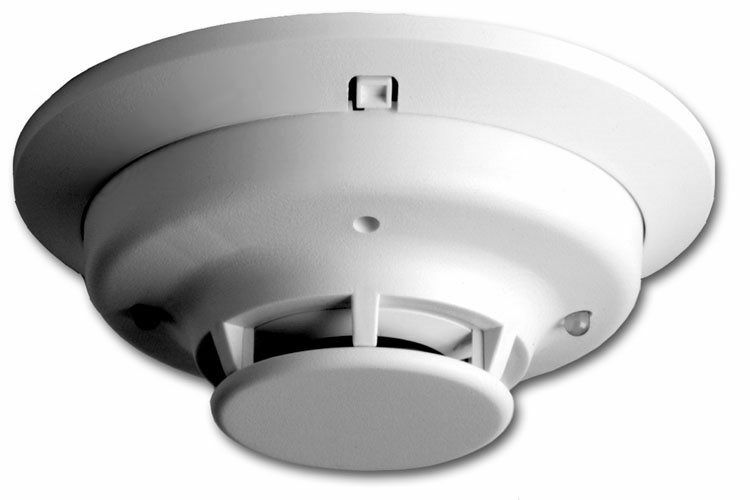 The FX-3500 Series systems are recommended for both new and retrofit fire detection and/or special-hazard/critical-infrastructure suppression/special agent applications. Capable of releasing up to six discrete physical hazard zones, the FX-3500 offers exceptional value for complex installations. Elegant configuration options by onsite laptop, or when required by the Engineer of Record, by remote PC via modem, the FX-3500 can be operational with minimal set up time. Typically these environments require agent-based suppression solutions easily managed by the FX-3500 Intelligent Addressable Release Control Unit. The base system consists of one analog loop and four indicating circuits. In addition the base system supports conventional hard wired modules. With its flexible modular design, the FX-2000 Series can be configured to meet challenging requirements without compromising its easy installation and operation. 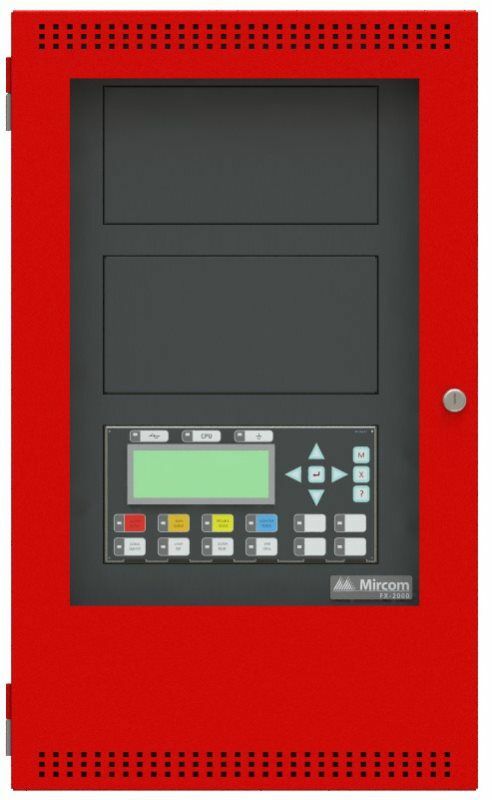 The Mircom Group of Companies is pleased to introduce the new DSPL-420-16TZDS Main Display Module and the FX-2003-6DS-16LED Compact Fire Alarm Main Chassis. The New FX-2003-6DS-16LED is an FX-2000 main chassis that is equipped with the new DSPL-420-16TZDS display. This chassis offers 16 points of LED annunciation and is ready to use in an economic package. The DSPL-420-16TZDS display is functionally equivalent to the classic FX-2000 main display but is more compact. This fire alarm chassis is ideal for smaller applications where LED requirements do not exceed the standard 16 indicators. The FX-2003-6DS-16LED includes a full length inner door and comes complete with a DSPL-420-16TZDS display module, main board, mounting back plate and transformer. In addition, this chassis has space to mount up to two annunciation or programmable modules as well as up to three internal adder modules. The FX-2003-6DS-16LED mounts in the UB-1024DS universal back box and requires a DOX-1024DS(R) door. 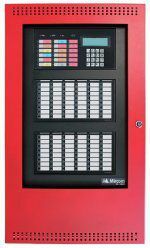 The FX-350 Series Intelligent Fire Alarm Control Panels are intelligent panels that support 60, 126 or 378 addressable points. Designed for small to medium commercial, institutional and industrial occupancies, these panels are powerful enough to meet today's installation demands. The FX-350 Series is configurable by the keypad for onsite programming or by a PC for both onsite and remote programming. These high quality, die-cast metal manual stations are available in either single or dual action configurations with SPST contacts and terminal strip connections. The normally open contact, which closes when the manual station is activated, is rated for 1 amp, 30 VDC. The contacts are gold plated to avoid the risk of corrosion. The MS-700 Series Manual Stations are available in many different configurations as either single or dual action devices. The i3 family is founded on three principles: Installation Ease, Intelligence, and Instant Inspection. The i3 line redefi nes installation ease with its plug-in design. This allows an installer to pre-wire the bases included with the heads. The large wire entry port and in-line terminals provide ample room for neatly routing the wiring inside the base. The base accommodates a variety of back box mounting methods as well as direct mounting with drywall anchors. To complete the installation, i3 heads plug-in to the base with a simple Stop-Drop ‘N Lock action. i3 detectors offer a number of intelligent features to simplify testing and maintenance. Drift compensation and smoothing algorithms are standard with the i3 line, to minimize nuisance alarms. When connected to the 2W-MOD2 loop test/maintenance module, or a panel equipped with the i3 protocol, 2-wire i3 detectors are capable of generating a remote maintenance signal when they are in need of cleaning. This signal is indicated via an LED located at the module and the panel. To read the sensitivity of i3 detectors, the SENS-RDR is a wireless device that displays the sensitivity in terms of percent per foot obscuration. The i3 series provides wide angle red and green LED indicators for instant inspection of the detector condition, indicating: normal standby, out-of-sensitivity, alarm, or freeze trouble conditions. When connected to the 2WMOD2 loop test/maintenance module or a panel with the i3 protocol, the EZ Walk loop test feature is available on 2-wire i3 detectors. This feature verifi es the initiating loop wiring by providing LED status indication at each detector.